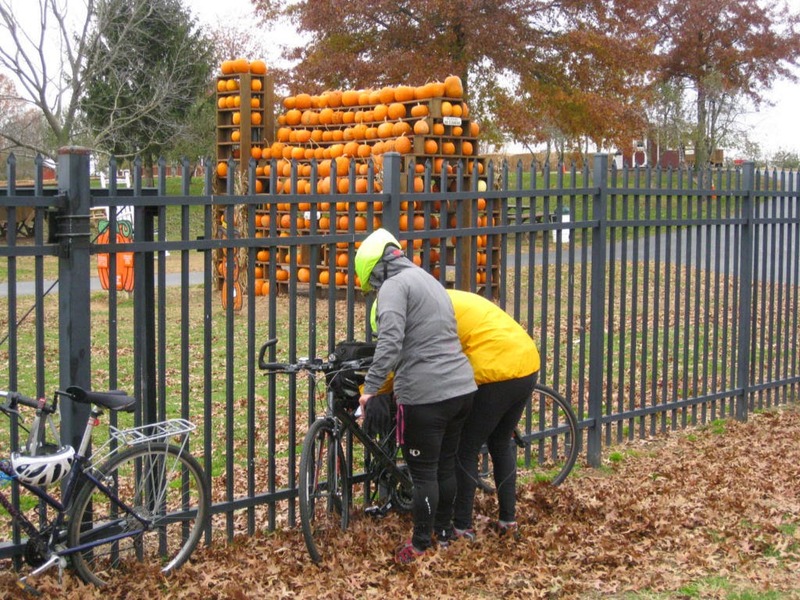 By Angela Connolly -- It was a cloudy and crisp Fall morning, but it didn't dampen the spirits of the riders who came together to enjoy the first EZ Rollers ride to Milburn Orchards, which is a popular destination for area cyclists. 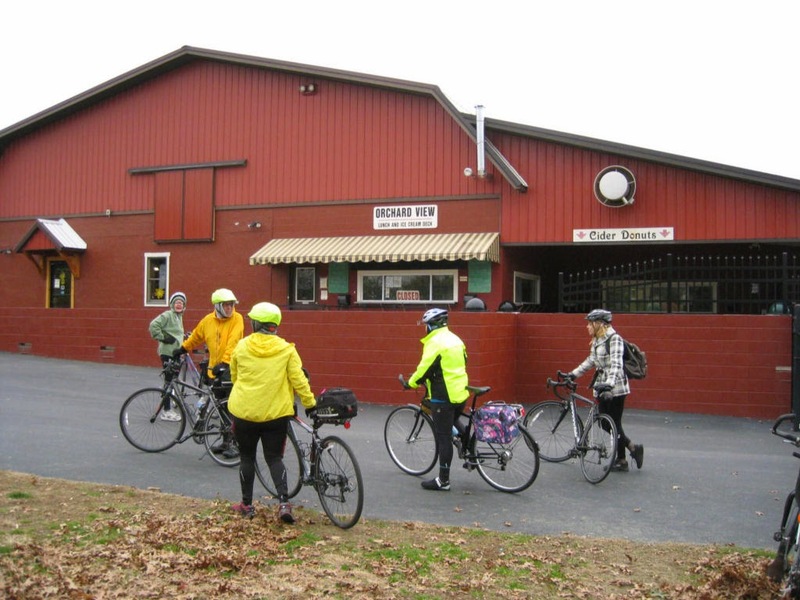 The group met at Saxby's in Newark, where Corinth gave her suggestions for the route to Milburn. After introductions and tea/coffee, the group set out on Elkton Road. Corinth showed the group a route through the Gore campus, which provided a less hilly option to our destination than the route that the other riders had taken before. 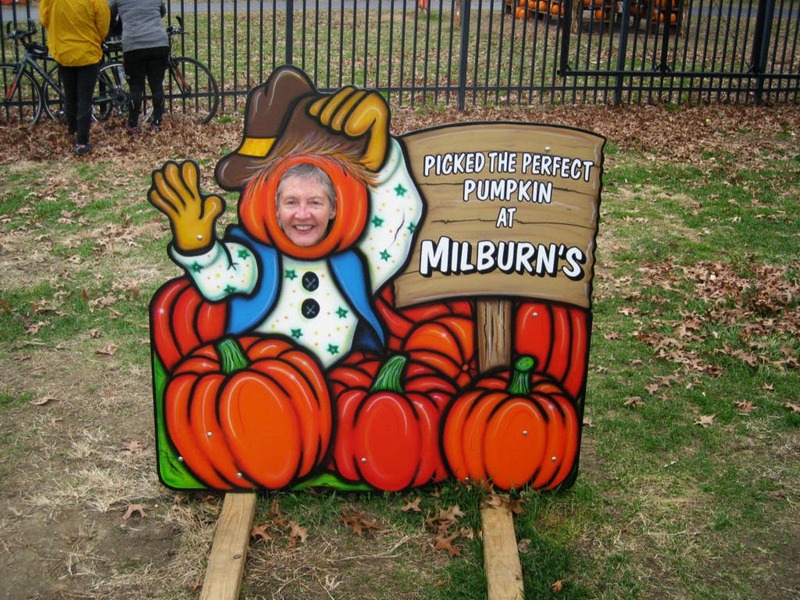 At Milburn's we had a nice break, and enjoyed hot cider, tea, and their famous cider donuts! 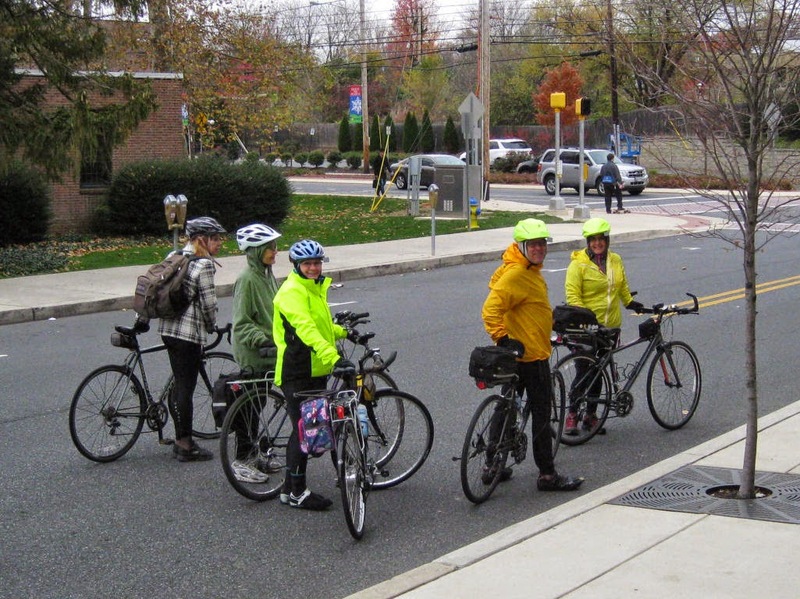 Heading home, the group decided to take the more straightforward route of Barksdale Road back to Newark. The pace of the ride was very comfortable, allowing the riders to enjoy the scenery, and talk to each other. We talked about the possibilities for future rides. We are so lucky to have so many beautiful places to explore by bike! We are hoping that December will be kind to us and allow good weather for another EZ Rollers Ride! Stay tuned for details! Everyone is welcome, we will have all skill levels of riders, and no one gets dropped, ever! Come have fun, meet other cyclists, and explore the many beautiful roads and destinations that the area has to offer - at an EZ and fun pace! The group preparing for departure at Saxby's Coffee in Newark. Ready for some hot cider and cider donuts! Sandy says Come Ride with the EZ Rollers!